ICAgile's DevOps Track explores the necessary changes in culture and processes required for an organisation to successfully embrace Agile. The collaborative approach means bringing operations into the development cycle so that everyone in delivery is working together, not just the development and operations teams. The DevOps Track consists of two knowledge-based certifications: Foundations of DevOps and Implementing DevOps (Coming Soon). The pinnacle of the DevOps Track is the ICAgile Certified Expert in DevOps, which demonstrates your master-level ability to extend Agile principles beyond the delivery of software. ICAgile is currently in development on the back half of this track. Additional certifications in the ICAgile DevOps Track are coming soon from ICAgile. Cultivate an Agile mindset with the ICAgile Fundamentals certification track. Develop top-quality software solutions with the Agile Engineering certification track. Build quality into your software solutions with the Agile Testing certification track. Develop the agility to thrive in today’s business climate. Maximize and sustain value at all levels with the ICAgile Value Management track. Successfully manage Agile delivery with the ICAgile Delivery Management track. Facilitate collaboration and lead Agile teams with the ICAgile Agile Coaching track. 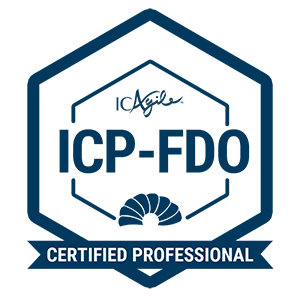 Validate your Scrum expertise with Certified ScrumMaster® (CSM) certification. Improve agility and service delivery with Lean IT Foundation certification. Enjoyed the course - the instructor was knowledgeable, relatable, and helpful. The course information offered insight into better practices. I did not expect the coding aspect, so that was intimidating, but it worked out and I learned something.